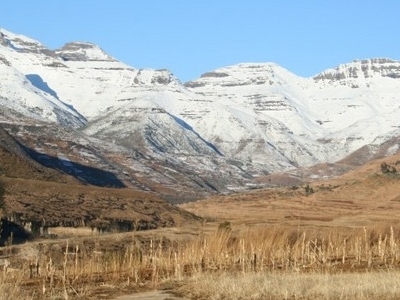 The uKhahlamba / Drakensberg Park was added to the World Heritage List. It is described by UNESCO as having "exceptional natural beauty in its soaring basaltic buttresses, incisive dramatic cutbacks, and golden sandstone ramparts...the sites diversity of habitats protects a high level of endemic and globally threatened species, especially birds and plants... also contains many caves and rock-shelters with the largest and most concentrated group of paintings in Africa south of the Sahara. Here's the our members favorite photos of "National Parks in South Africa". Upload your photo of uKhahlamba / Drakensberg Park!